How tough are Boston drivers? Let’s just say that even our automated cars will need some attitude. That’s according to the cofounder of the company that’s partnered with the city to test a self-driving car in the Raymond L. Flynn Marine Park in South Boston. “It’s important for automated cars to be able to drive in a human-like fashion — and that does mean adapting to the driving patterns around you, ” said Karl Iagnemma, CEO of Cambridge-based nuTonomy. So will our automated cars be designed to tailgate, or make left turns from the right lane? Come winter, will they slash the tires of a car that has parked in a space they’ve shoveled? The good news is that plans don’t call for that kind of behavior. But automated cars slated to drive in Boston could be programmed to (legally) push through yellow lights, shoulder their way into a rotary, or deftly merge in the competitive situation that can arise when a road narrows from four lanes to three, Iagnemma explained. 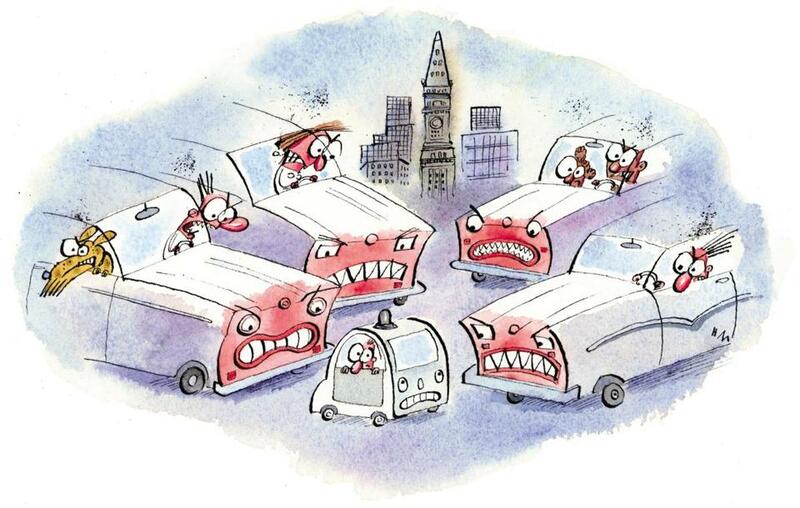 But, he assured, any adaptations to Boston’s driverless cars will not include illegal or unsafe traffic moves. The city’s driverless-car test program will probably start in December, with a single vehicle at first, Iagnemma said (and with a human driver in the driver’s seat to take control as needed). 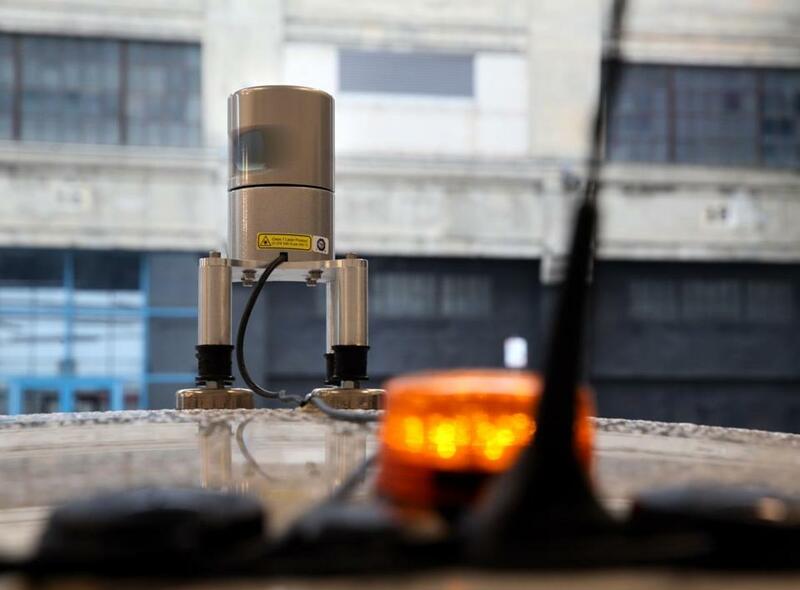 NuTonomy plans to gather data about local conditions — other drivers, pedestrians, topography — from about a dozen car-mounted sensors. With that information, the company will know what tweaks Boston driverless cars should have. Without such adjustments to the local driving culture, self-driving cars could essentially be bullied by aggressive Boston drivers. 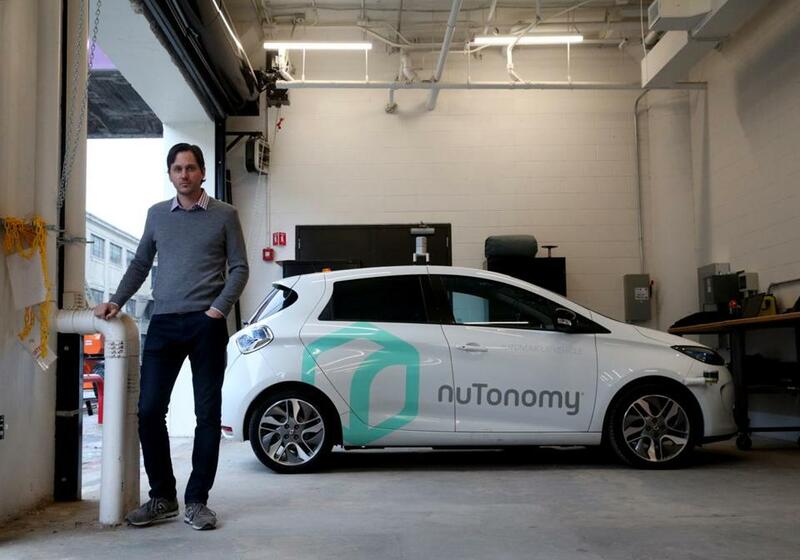 Karl Iagnemma co-founder of nuTonomy posed for a portrait with a self-driving car in Boston. “There is some concern that when [automated cars] hit the road, other cars [driven by humans] might look to take advantage of them because they know they are programmed to drive in a conservative fashion,” Iagnemma said. “Think about the scenario at a crowded intersection. Sometimes there is jockeying for position,” he said. Even as Iagnemma acknowledged the reality that Boston drivers have a bad reputation, he emphasized that many locals are in fact excellent drivers, and he only hopes his cars can meet their standards. “Our goal is to be skilled as the best Boston drivers,” he insisted. But what if a person doesn’t want to be a passenger in an autonomous car dialed all the way up to “Boston”? Iagnemma said that the software may be able to adapt to the preferences of its riders. “The self-driving car you are in may be different than the self-driving car your mother is in,” he said. But in Boston, even many of the mothers are “Boston drivers.” This is a town that ranked dead last on auto insurer Allstate’s “America’s Best Drivers Report” for the past two years, and where using a blinker is a “sign of weakness,” according to crash-prevention expert Dan Strollo . Local motorists suffer from some factors that are not under anyone’s control, such as heavy traffic, narrow roads, and bad weather, said Strollo, who runs a Lexington-based nonprofit safety program, In Control. But many problems are of our own making. Most of Strollo’s students “think they know more than they know,” he said, emphasizing that these are people with driver’s licenses. “If I ask, ‘What’s a safe following distance?’ no one knows,” he said. Gina Fiandaca, commissioner of the Boston Transportation Department, likes the fact that not only will automated cars know the rules of the road, they will follow them. But Boston being Boston, there may be such a thing as too predictable. An automated car driving like an *#$% idiot — i.e., going 30 miles per hour in a 30-mile-per-hour-zone — could become a target of road rage. Don’t worry, Boston drivers can find a way. The nuTonomy was fitted with lasers and scanners.